For more than a century directors from both sides of the border have chosen Mexico as the location to create their cinematic art leaving an indelible imprint on the imaginations of moviegoers and filmmakers worldwide. Now for the first time Made in Mexico: Hollywood South of the Border presents a comprehensive examination of more than one hundred Hollywood theatrical feature films made in Mexico between 1914 and the present day. 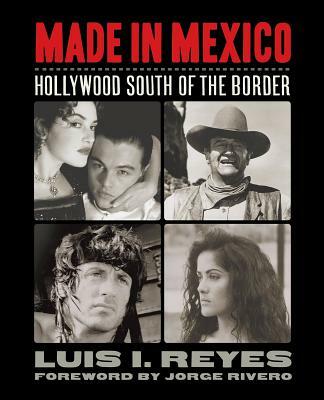 Lavishly illustrated throughout Made in Mexico examines how Hollywood films depicted Mexico and how Mexico represented itself in relation to the films shot on location. It pulls back the curtain on how Hollywood filmmakers influenced Mexican films and Mexican filmmakers influenced Hollywood. Listed chronologically and featuring cast credits synopsis and contemporary reviews along with a production history for each entry this book highlights the concept of crossing borders in which artists from both nations collaborated with one another. Made in Mexico also provides a brief historical perspective on the aesthetics economics and politics of the film industries in each country giving readers a glimpse of the external forces at play in the production of these films. With motion pictures permeating the cultural and historical landscape of both Mexico and the United States this compulsively readable compendium demonstrates the far-reaching influences of the featured films on the popular culture of both nations.